Keeping the fruit of one’s labor, that is property, is one of our natural rights. It is being taken by those who would steal that fruit for themselves. Land is property, the fruit of one’s labor. It can only be held through constant labor, in fact, that will pay the taxes and maintain its economic value. Like all property, personal or otherwise, it is one of the natural rights of humans willing to put the labor into making it productive. If we cannot keep the fruits of such labor, we are merely slaves to others or, as Edmund Burke put it, no more than the ants of summer. Today, though, our natural rights in land and property are threatened at every turn by those who would simply steal those fruits for themselves. They are, invariably, those who could afford to pay but would rather not. The threats are everywhere and they are reflected in bizarre acts and stories that may not seem related but are all reflections of the same erosion of natural rights. A recent story in Wall Street Journal provides an example. 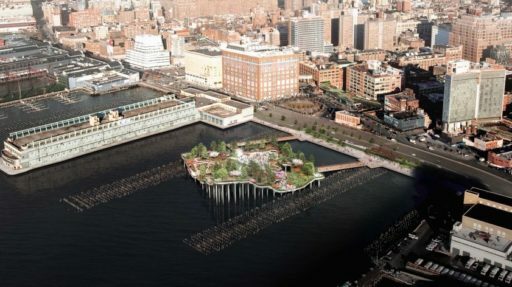 It’s about movie mogul Barry Diller’s attempt to convert a rotting old pier in the Hudson River into a small island park on pilings connected to land by pedestrian bridges. It had the support of all the politicians. It didn’t involve tearing down anything anyone wanted to keep. He proposed to use his own money to do it on his own leased property. He was stopped by men in black who imagine their judicial seats are thrones, a suffocating regulatory system and two well-financed opponents who alleged eels and views would be threatened. As renderings of the project show, it would obstruct water views from the Manhattan shore. The open, expansive River views that pedestrians, cyclists, and motorists now enjoy would be replaced by a view of the Pier 55 structure itself. And Pier 55 would replace acres of navigable water currently used by recreational boaters. The cyclists and kayakers own neither the river nor the view (and perhaps not even the bikes or the kayaks as they can be rented), yet control everything, They have stolen not only the common property of the public in the river and the view, which many would find enhanced by the project, but also that of the Mr. Diller and everyone else. The cyclists and kayakers would appear to be kings now, having stolen everything, using the courts and twisted interpretations of law to do so. But there’s more. The opposition filed its first lawsuit in June 2015. Riverkeeper, an environmental organization, initiated the suit with the City Club of New York, a small civic group. They recruited Mr. Fox and Rob Buchanan, environmental activists, as joint plaintiffs. They objected to both the secrecy surrounding the planning for the project and on environmental grounds. The (Hudson) Riverkeeper, of course, is integrally connected with the NRDC gang, the reprehensible RFK, Jr. and that whole cabal; the trendy gentry class that opposes anything and everything that might disturb high-brow views of the Hudson River. They want those views for themselves. These are the real kings and queens; the plutocrats who run things. Diller is immensely rich but he’s not them. They’ve been doing this a long time as William Tucker so well explained 38 years ago with his Harpers article, “Environmentalism and the Leisure Class” (sub-title: “Protecting Birds, Fishes and, Above All, Social Privilege”). Environmentalism is a rather handy tool for protecting and advancing social privilege, in fact. It’s easily seen in the way members of the gentry class from the Haas, Hewlett, Heinz, Park, Rockefeller, Simons, Wallace families and the like, have underwritten fractivist causes, obliterating the natural rights of others in land through their campaign to make a wilderness here and “strategically parkify” there. They’ve also successfully implanted the idea that scenery—someone’s else view—gives them ownership in another’s labor. True environmental concerns are, in fact, actually secondary in many cases; merely window dressing for naked appeals to make wildernesses out of others’ property. 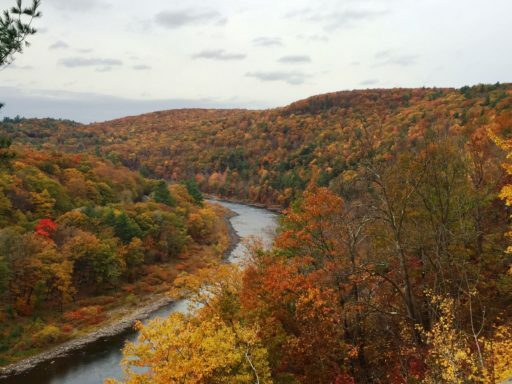 It is the view of the Delaware River looking upstream from the Hawks Nest just above Port Jervis, New York, roughly 40 miles south from where anyone has proposed any drilling and fracking. Moreover, no one is proposing drilling in the river corridor itself as there is no need to so with two-mile long laterals that can capture the gas without ever coming close. Notwithstanding those facts, the Fall foliage scene is intended to capture the beauty of the river—the view—and sell it for donations. The land pictured, though, is mostly private land. Even if this view were from 40 miles north, the land is generally owned by individuals who have to pay taxes on it. Indeed, this view appears to one from a privately owned restaurant at the upper end of the Hawks Nest or very nearby. It is land that must pay for itself with earnings from enterprises such as canoeing operations, logging, quarrying, lodging or restaurants. The land is the fruit of the labor that maintains it. It doesn’t belong to the Delaware Riverkeeper to sell and it isn’t the DRBC’s to take off the market unless it wants to pay for it. Such is the battle now over the Delaware and so many other places in America as gentry class warriors attempt to preserve their views and their social privileges at the expense of ordinary landowners who have long preserved their land by making it productive and want to continue to enjoy their natural rights to the fruits of their labors. Barry Diller, who lives in a world part from these ordinary people, got a taste of what it’s like to be them when he tried to do something good, something productive, in the Hudson. Now, he knows what it’s like in the Delaware and so many other places where social privilege, carefully hidden behind an environmental screen, always, always trumps natural rights. Our labor is nothing to them but something to be taken at the point of a regulatory gun in their hands. And, if we think it’s bad now, imagine what it will be like if the Povertykeeper is successful in getting Pennsylvania’s increasingly looney Supreme Court to use the Environmental Rights Amendment to squelch your natural rights. 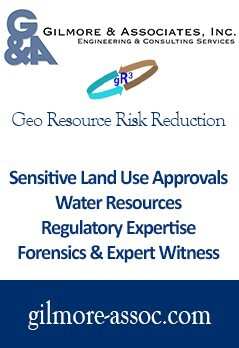 Or, if the CELDF is successful in getting some court to buy into its “rights of nature” fraud. All it will take is one wealthy member of the gentry class to write a check to some environmental fringe group such as the Povertykeeper as a stand-in for some tree and we lose. That’s the future if those of us who believe in natural rights and the ability to keep what we earn don’t stand up to these rich bullies. Don’t you know that these individuals are just simply superior lifeforms over the rest of us, no matter how much we ourselves preach and practice environmental conservation and proper resource management? Of course I say this with ubiquitous sarcasm, but unfortunately if you were to ask many of them, they would say they were superior and you should never question their authority for you shall pay a substantial penalty. The infamous Tammany Hall has nothing on these individuals. It is too bad that the private landowners cannot charge a viewing fee to those who so treasure looking at others property. Maybe we need a stiff “view tax” upon those with such treasured views. That tax could be distributed to those owning and maintaining such views for others viewing pleasure. Gee Tom…..where have we seen this before…??? The biggest land grabbers are the FERC, Federal Government, state governments and courts who have conspired with the gas and pipeline companies to violate the 5th amendment rights of private landowners and Native Americans. They have taken over the equivalent of 2.8% of the earth’s land area for underground natural gas storage across the United States. Gas and pipeline companies make $Millions$ annually from underground storage with ZERO or minimal compensation to private landowners.